One automotive design trend that has gained importance over recent years – not in the least due to a consistent differentiation of vehicle categories and types: the use of contrast colours in designing the car body. They are used in different places and break up the specific shade of the vehicle. This provides individual character. Whether it is discreet elegance, sporty aggressiveness or dynamic and robust stability, contrast colours are used for everything from convertibles and limousines to SUVs. In recent years, KSK has been able to gain a wide range of experiences with contrast colours. 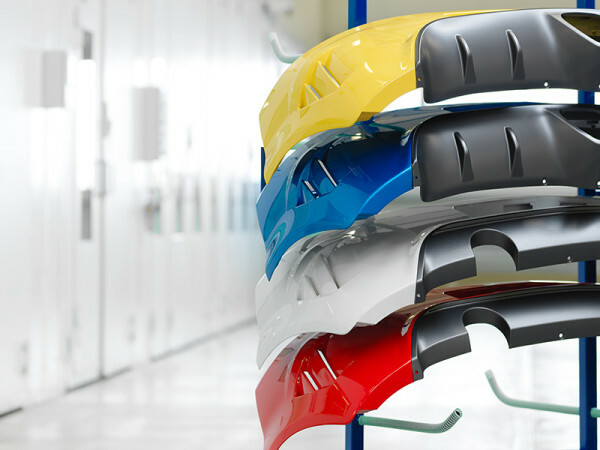 KSK can produce car body parts which are mainly used in the colours black, silver or white with a matt, high-gloss or textured finish.